Ever since they were born, I've tried by best to get my boys into a good bedtime routine and thankfully, this is one part of parenting that I'm happy to say I've succeeded with - thank goodness for small miracles! 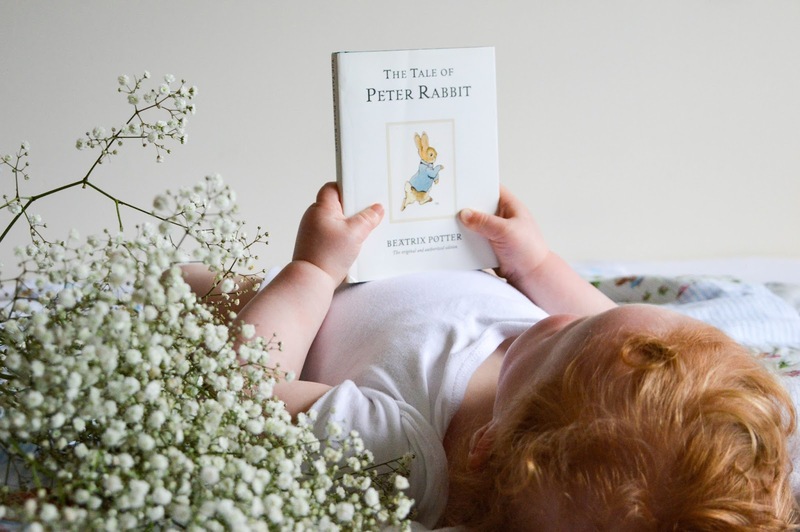 I've spoken before about the things I've done to help my babies sleep through the night from five weeks old and today I'm sharing a set bedtime routine - #BathBookBed. This is a campaign by the BookTrust, who have also teamed up with Supernanny Jo Frost and Daddy Pig from Peppa Pig, to encourage parents to include reading bedtime stories as part of their children's bedtime routine in a bid to help them sleep better. As a parent, I have to say that I fully support the inclusion of a book at bedtime. Both of our boys have a plethora of books in their bedrooms and our eldest is a child who will keep requesting another story until he falls asleep. There's nothing sweeter for me than hearing Jacek read the boys a bedtime story - something which he's just begun doing with Beau and I have to admit, I love reading the boys bedtime stories too as it's probably the only time out of the day that I get to read something 'real' - other than a blog, social media or website. After dinner I pop the boys in a nice, warm, bubbly bath and I find that this helps to let them have a little bit of playtime with their bath toys and splashing in the water, but it also helps to relax them too - especially Beau, who has been known to fall asleep straight after his bath. There's something so therapeutic about warm water and a warm bath really is a great thing to incorporate into a child's bedtime from birth as it helps to wind them down and fall soundly asleep. You can pick up your own copy of the Bath, Book, Bed booklet from your local library or you can download it from the BookTrust website. It's full of helpful advice and tips for getting your child into a relaxing and effective bedtime routine and it's a great little booklet for parents to keep at hand - especially on the days when your little ones just do not want to sleep. I think the Bath, Book, Bed campaign is a great idea. I'm all for encouraging a love of reading and books in children and for making them want to sleep soundly too! *We were sent a bundle of Peppa Pig goodies to share about the #BathBookBed campaign, however, as always, all thoughts and opinions are 100% my own.